Hypertension is a word commonly used to describe what many remember as high blood pressure. There was a time when the common belief was that stress was the primary culprit for this condition. Today we know there are multiple secondary medical issues that can make hypertension an undesired companion. Diabetes is one of those issues. Medical science finds it interesting that the instance of hypertension among diabetics is significantly larger than among those who do not have diabetes. Hypertension can lead to multiple complications for the diabetic and the management of your blood pressure is an important step in your personal care plan. It is believed that only one in four who experience hypertension can claim to have it under control. Most medical association who deal with diabetes suggests a blood pressure range that is more controlled than may be necessary for other patients. The reasons may be many, but they all seem to stem from the problems hypertension can cause to blood vessels that may be damaged by diabetes. 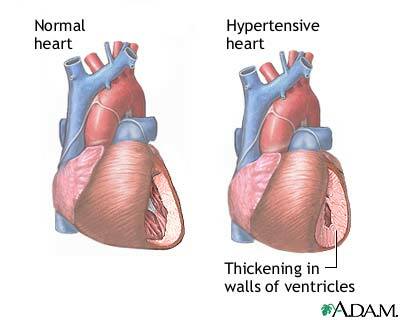 In some cases the vessels can become brittle and excessive blood pressure can cause internal bleeding. This has proven especially true in vision issues in diabetics. The AAFP further indicates, “Weight loss and exercise can help to lower blood pressure and may also improve glycemic control and insulin sensitivity.” While this is true most health care providers, including the AAFP believe that diabetics will require the further assistance of medical aid. Diabetics wage war on two primary fronts. The management of blood glucose levels. The management of blood pressure levels. Without an understanding of how these two fronts pose problems for those with diabetes it can be easy to concentrate on one to the exclusion of the other. The following is a list of medical issues that can arise from a lack of hypertension control. While not exhaustive it should provide some of the top medical problems. Coronary heart disease including congestive heart failure. Diseases associated with the kidney often resulting in the need for dialysis. Peripheral Vascular Disease. This is important to the diabetic because this is the one that leads to limb amputation if not managed carefully. Intimacy issues including erectile dysfunction (ED). Dizzy spells related to the normal act of standing from a sitting position. There are multiple drug therapies that can be used to assist in the control of hypertension. Spend time visiting with your primary health provider to determine which may be the right approach for you to take. Be sure to mention every medication you are currently on to avoid drug interactions that may cause other medical problems to arise. The role of hypertension in diabetic patients should not be minimized. Instead of an either/or issue it should be treated as a both/and issue. The successful management of both leads to both a longer life and a better enjoyment of the journey.